Chocolate contains an ingredient that can be poisonous to dogs. So while your dog might like the look of those chocolate biscuits, resist the urge to share. As soon as you realise your dog has eaten chocolate, contact your vet. Once they know what type, and how much your dog ate, they can tell you if your dog is at risk of chocolate poisoning – and what you should do next. Top tip: Keep the chocolate’s packet so you can show the vet exactly what type your dog ate. Related blog: Can dogs eat human snacks? Chocolate poisoning occurs when a dog eats more theobromine than their system can cope with. On average, 20mg of theobromine for each kilogram of your dog’s body weight is enough to start making them unwell. 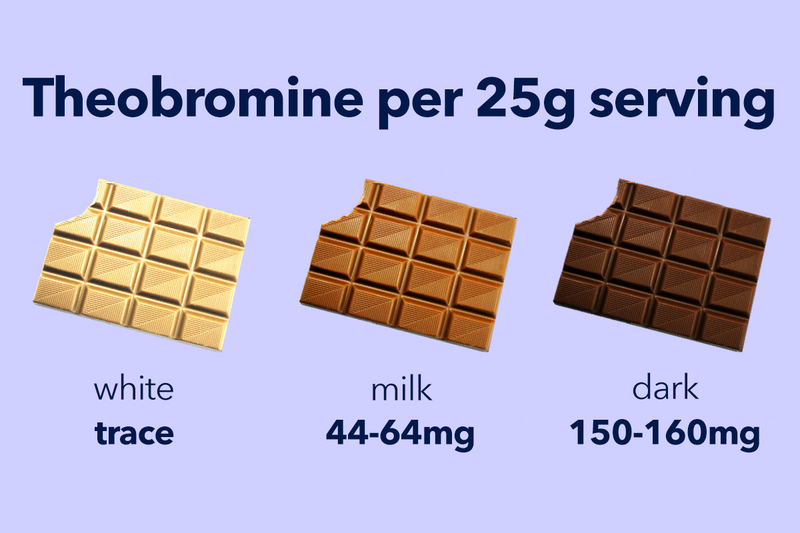 Your dog doesn’t necessarily need to eat a lot of chocolate to feel the effects – good quality chocolate is high in theobromine so even a small amount can do them harm. What are the symptoms of chocolate poisoning in dogs? Can some dogs eat chocolate? Ever heard fellow dog-owners talk about dogs eating chocolate with no problems? A lack of reaction is pure luck. Some dogs can tolerate small amounts of theobromine but there’s no way of knowing if your dog is one of them. The type of chocolate – and even the brand – can make a difference. So even if your dog’s had chocolate before, don’t assume they’ll react the same way again. To be safe, we recommend not giving any at all. Specially-made indulgent dog treats are a safer way to show your dog some love. Dogs and chocolate generally don’t mix, so keep regular chocolate out of reach. If you really want to give your dog a chocolate-like treat, stick to dog-specific substitutes. Want advice on tasty treats that will support your dog’s health? Get in touch at hello@tails.com. Why do dogs need omega-3? Is it OK to give my dog bread? Hi Wayne, depending on the levels of cocoa in the chocolate, different brands will have different levels of toxicity. The reactions of individual dogs to the toxic ingredient, theobromine, can also vary. To be absolutely safe, we’d advise against feeding chocolate to dogs.